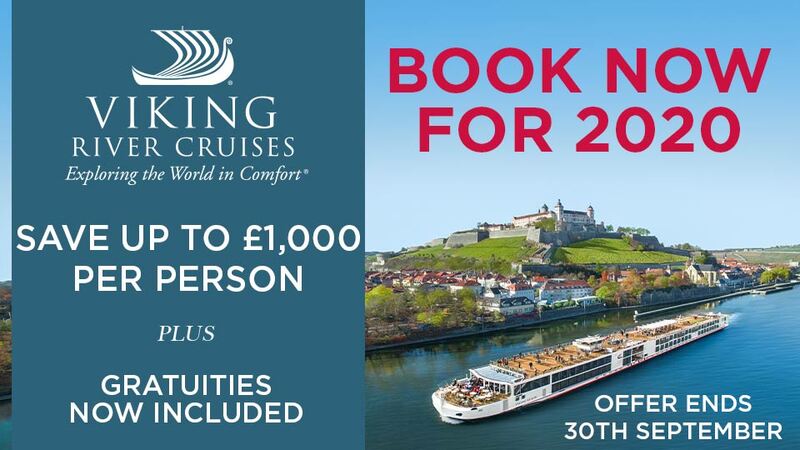 Sail along the Douro on board the Emerald Radiance! After leaving the pastel-coloured metropolis of Porto behind, you’ll take to the Douro and navigate a striking path through some of Portugal’s most enchanting countryside. Steeply terraced vineyards rise from the river banks, historic landmarks pepper distant horizons and charming townships lay hidden in the rural hillsides, tucked away from the unforgiving grasp of the modern world. The golden city of Salamanca glows myriad colours both day and night, while your return journey back to Porto is filled with even more cultural and historical treats. On arrival at the airport in Porto, you’ll be met by an Emerald Waterways representative and transferred to the ship where you will be welcomed by your Captain and crew. In the evening you’ll enjoy a welcome reception and dinner on board in the Reflections Restaurant. Today enjoy a full day sailing the windy turns and twists of the Douro Valley. A UNESCO world heritage site this area is sparsely populated by small quaint villages and typical communities working vineyards and small farms. In the morning join a painting class of local mosaic tiles which typically depict traditional motives. Your Cruise Director will also host a lecture on board showcasing the history and wine culture of the region. Later this afternoon arrive in the village of Pinhao which is situated on a river bend surrounded by terraced hillsides producing some of the world’s best Port. Tonight your captain will be delighted to host the welcome dinner and cocktail reception. EmeraldPLUS: Mosaic Tile Painting Lessons on Board & Cooking Demonstration on board. EmeraldACTIVE: Yoga Lesson on board. Today you will have a choice to visit the marvelous baroque village of Lamego and the picturesque Our Lady of Remedies Sanctuary where history stands still. Alternatively, take part on a guided hike through local vineyards. Return to your ship for lunch and an afternoon sailing to Vega de Terron, your gateway into Spain. EmeraldACTIVE: Guided Walk through Vineyards in Pinhao. Founded in Roman times, the city of Salamanca is home to one of the oldest universities in Europe, the seat of the Spanish language, and still a lively student town. Board your coach this morning in Vega de Terron and travel to this beautiful golden city for a guided walking tour passing through its grand squares and medieval structures, where you will feel like stepping back in time. Tapas bars feature on every street and traditional Spanish music trickles out of buzzing bars and restaurants. You will also have plenty of free time to explore independently before returning to the ship later this afternoon. Included excursion: Guided tour of Salamanca. This morning, arrive in Pocinho and either visit one of the most famous wine estates in Portugal – Quinta do Seixo or take part on the Emerald Active canoeing experience. Later return to your ship for lunch and enjoy your idyllic surroundings as you sail towards Regua. This morning you will visit the former roman settlement of Regua. After the village tour, visit the Douro Museum for a look at wine making in the region. Included excursion: Guided tour of Regua & Douro Museum Visit. Located at the mouth of the Douro River, Porto is a fascinating eclectic mix of modern and ancient architecture. Its most famous export is of course fortified wine, and the hillside across from the city centre features numerous wine caves and tasting boutiques in the area of Vila Nova de Gaia. Sample the local fair in one of these specially adapted wine cellars and learn about the long adapted craft of creating port. 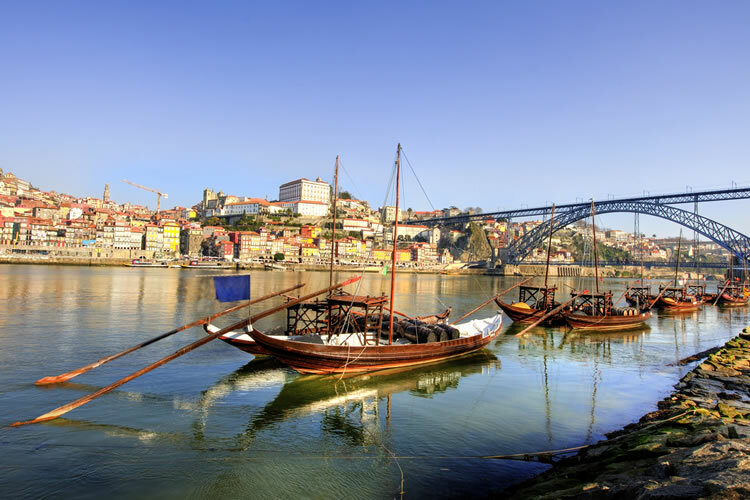 Included excursion: Guided Tour of Porto & Port Tasting. EmeraldACTIVE: Guided Active Walking Tour. Discover More: Excursion to Guimaraes (extra expense). 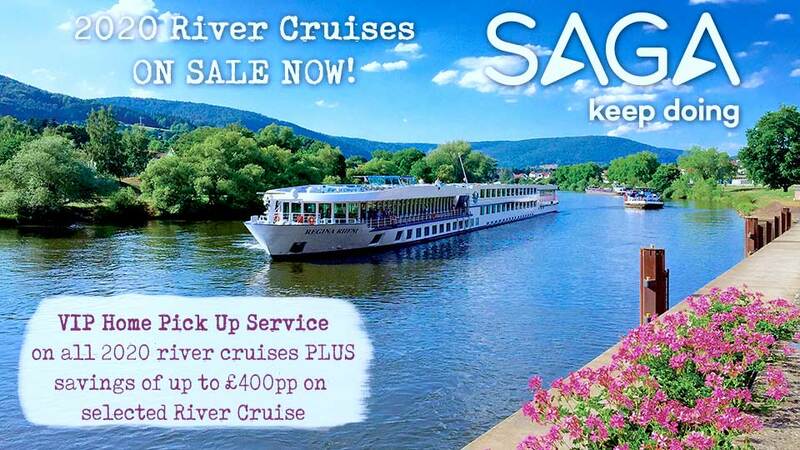 After breakfast disembark your river cruise ship and transfer to the airport for your return flight to the UK. Return economy flights from up to 15 UK airports, subject to availability.